Our graph theory fundamentals content is not quite a textbook, it’s not quite an online course, but an ordered collection of materials designed to help instructors and students alike learn the fundamentals of graph theory. This seven article series, and companion Github repo gives you the opportunity to read about and practice critical topics from the world of graph theory. It’s all open source and relinquished to the public domain. 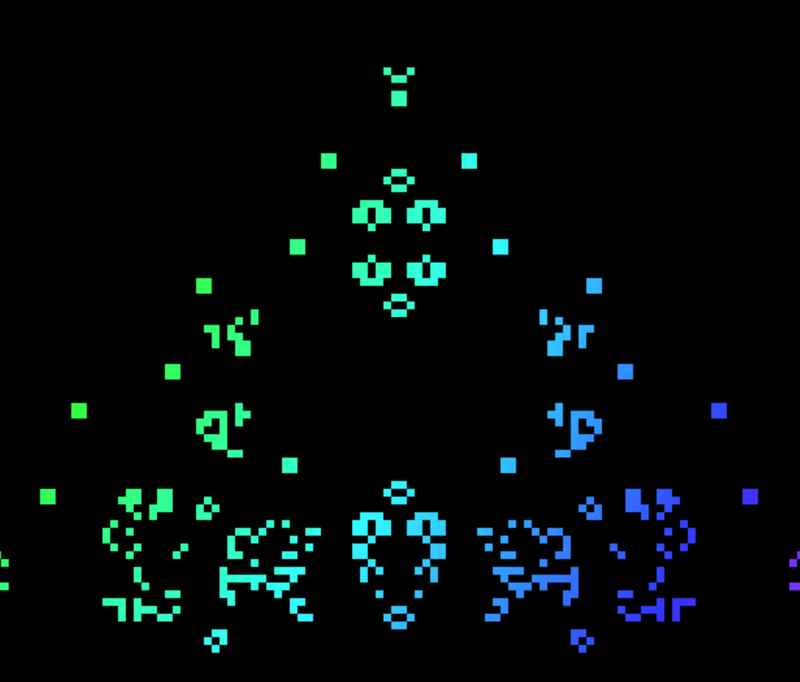 I made the original, then I had fun playing with the rules, making “Conway’s Editor”, and exploring the world of “Cellular Automata”. I hope you enjoy it. This repository contains curriculum materials designed to help schools, educators, companies, non-profits, or anyone at all teach an introductory computer science course. The materials here target concepts at the very core of computer science, and are focused primarily on introducing data structures and algorithms to students who have already been learning to program. All the material in this repository has been released to the public domain, feel free to copy, clone, and modify these materials for any purpose whatsoever. Hash tables and hash functions are at the heart of computer programming. They are ubiquitous and diverse. From checksums to crypto currency and from chaining to cuckoo hashing, hash functions have earned their place in the computer science hall of fame. This repository is meant to help you learn about checksums and hash tables. Read each section, then build a series of hash functions and incorporate them into a hash table. This is an npm package, with tests provided. Love A Mole was my submission to a homework problem given to me by Etsy. It was by far the most fun I’ve had as part of an interview. Love A Mole was a fantastic excuse to program something fun, light-hearted, and experimental. The code contains aspects of story-telling that you could never get away with in a “production” code base. The whole thing is absolutely silly, and that’s what I love about it. An ongoing project to introduce crucial concepts of machine learning and neural networks. New articles will be added as they are produced, as will new code samples and Jupyter Notebooks. Start from the very beginning and learn about deep learning! An ongoing project to explore the connections between genetics and computer programming. Start from the basics and learn how to process genetic data. New articles and code samples will be added as they are created. Read: What Exactly Is A Gene?